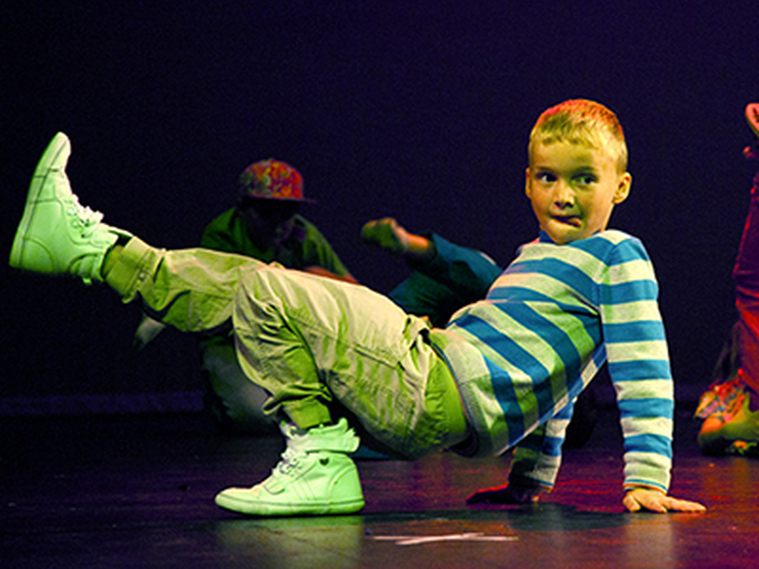 The Urban Dance Project in Yeovil was led by Take Art in collaboration with a steering group of young people, The Yeovil All Stars to create Urban Hubs within communities in South Somerset. The hubs created a space for events which inspired and engaged young people through Urban Dance and Urban Youth culture, using music that the students are listening to and teaching moves that they aspire to do. To develop the Urban Dance workforce in Somerset, School Teachers were given the opportunity to learn Urban Dance styles, and advanced skills development workshops were delivered to local Street Dance Teachers. Regular Mini Urban Jams took place in the hubs which included Parkour, Street Dance and Break Dancing workshops, DJ and Graffiti workshops and demonstrations by local performance groups. The success of the Mini Urban Jams was celebrated through an annual Urban Dance extravaganza called Big Dance Urban Jam in collaboration with Yeovil Allstars and Octagon Theatre, Yeovil. …this event was brilliant. I took my son and his 3 dancing friends and they loved it…they came home and spent a few days mixing their own music and making up a dance including the sequence they learnt in the flawless workshop and entered their school talent show. Got to the final and had to perform in front of the whole school. Thanks for organising the day. It was excellent. Young people who made up Urban Dance’s steering group, The Yeovil Allstars, not only developed their dance skills through the project but also gained valuable skills in project planning, fundraising, backstage, marketing, performing, company liaison, communication and teaching. They were given access to a Dance Leadership course and some referenced their work on the project in their UCAS applications, a couple even had it brought up when being interviewed for courses which they later got offered places on. Take Art and the Yeovil Allstars, in Partnership with the Octagon Theatre held annual Big Dance Urban Jam events which included participation opportunities throughout the day followed by an evening celebration of Urban Dance. The day featured free workshops in Street Dance, Break Dancing, Popping/Locking, Beat Boxin, DJ Skills, Music editing and Graffiti Skills. As well as Masterclasses by well-known professional artist from TV shows such as Britain’s Got Talent and Sky 1’s Got to Dance; Flawless, Joseph Hall, Boadicea & Rannel Theatre Company. During the evening event local and regional Street Dance crews got to perform beside some of the biggest names in UK Urban Dance. The result was an unforgettable show, which inspired Young People and showcased the high standard of dance in the South West.